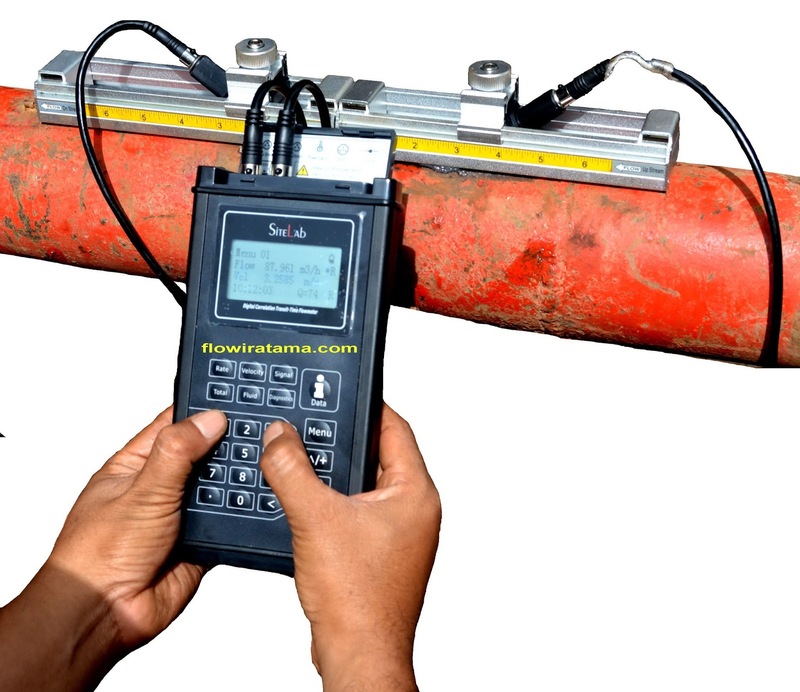 Another advantage is the use of ultrasonic flow meter accuracy is adequate and flexible. With ultrasonic flow meters, the user can choose from a variety of electronic packages, and also use the device in areas requiring explosion-proof devices. value-added benefits this provides a striking contrast to the turbine or variable-area flow meters, which is less accurate, offers the ability to output less invasive to the process media. As any engineer knows, ultrasonic flow meters measure the velocity of a liquid through a pipe by using ultrasonic transducers. The results are variable depending on the temperature, density or viscosity of the liquid. Some meters are also able to measure the liquid level and this, with the pipe size, enables the correct calculation of the flow rate and total discharge involved. The most significant advantage of ultrasonic flow meter is an ultrasonic flowmeter ability to measure flow without disrupting the flow of both liquid and gas. 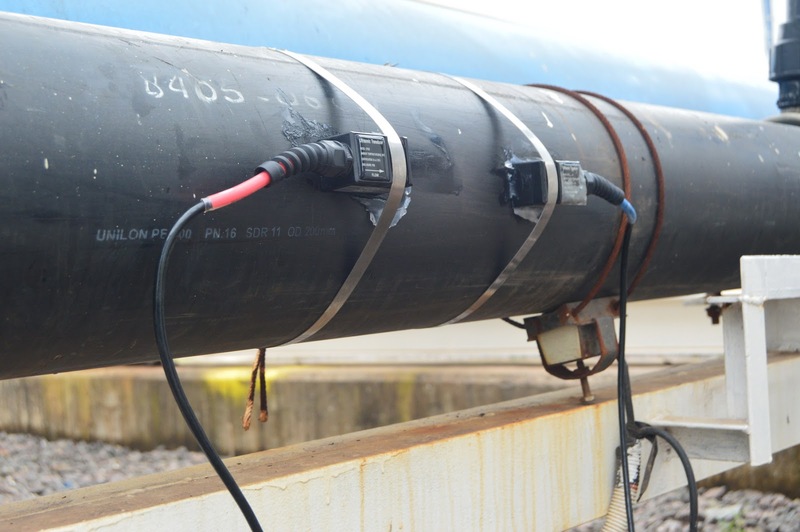 Noninvasive Measurements were taken from two or more transducers attached to the exterior of the pipe. Shift the frequency of the ultrasonic signal sent through a liquid or gas is measured, then the signal is sent through a cable to the electronics housed in the flow computer. To determine what type and model of ultrasonic flow meter that best matches our desires and effective for a particular application is to consider where and how the flow meter will be used. There are three types of ultrasonic flow meter the most preferred and and find that the Hand Held ultrasonic Flow Meter, portable Ultrasonic flow meter and Open Channel Flow Meter. These are non-intrusive, clamp-on devices used to measure flow in pipes ranging from 10 mm to 10,000 mm in diameter with incredibly high accuracy. 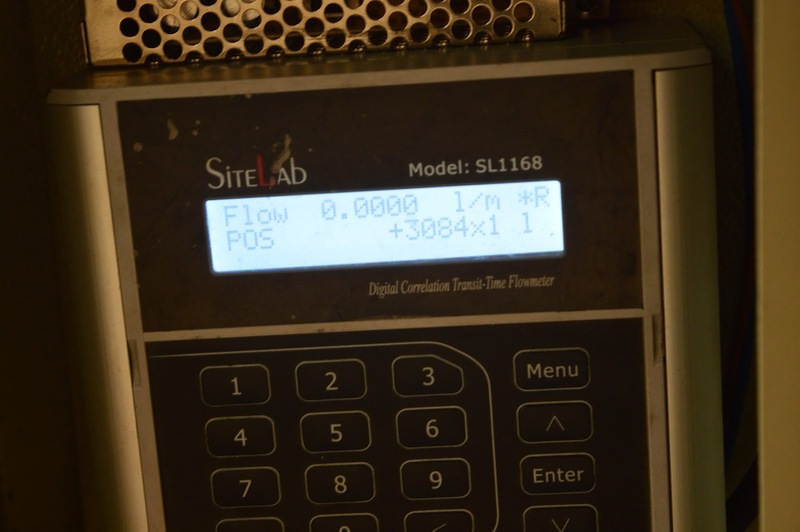 In fact, independently certified meters have achieved accuracy better than 1% of the actual flow. This is a robust range of flow meters suited to a wide variety of water quality, with pipe sizes ranging from 15mm to 500mm in diameter and pulse emitters being able to be fitted to the flow meters if necessary. Handheld flow meters are most commonly used to measure slurries and dirty fluids in the chemical industry, food processing and water treatment plants where basic flow measurement is occasionally required. Facility engineers working in office buildings or small-scale process plants frequently need to monitor HVAC-R systems. Typically, these engineers will use a handheld unit to accomplish this task. Ultrasonic flow meters measure the level in a channel by transmitting a pulse of sound from the face of the sensor to the surface of the flow stream and measuring the time for the echo to return. The transit time corresponds to the distance between the face of the sensor and the surface of the water. When the meter is initially set up, a pre-determined distance (or level in some meters) is set. This distance is either the zero level (no flow present) or a specific level in the flume or weir. With this initial calibration it is only a matter of simple arithmetic to determine the liquid level. This level is then applied to either pre-programmed discharge equations or strapping tables to output a flow rate. Because the sensor is not in contact with the water, ultrasonic sensors have no scheduled maintenance. 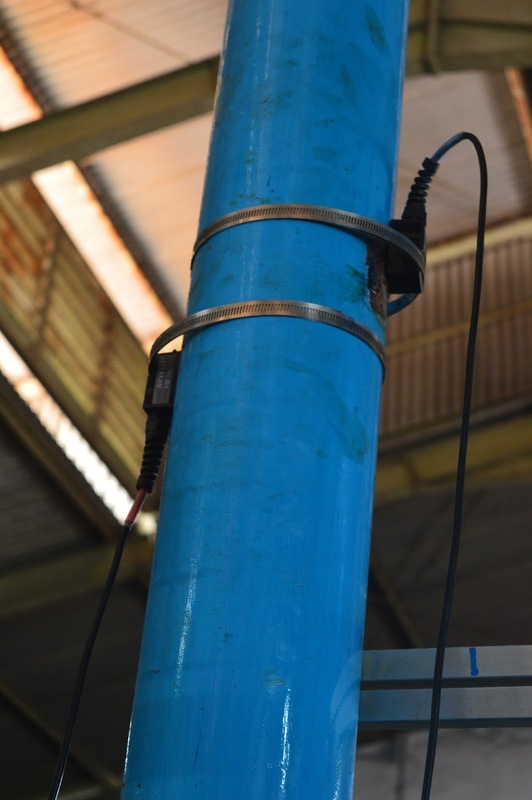 Ultrasonic sensors are not affected by chemicals, grease, suspended solids, or silt in the flow stream.